Seven tunnels - one a horseshoe more than a quater mile long -- had to be blasted in this canyon so that a railroad could be completed to Grangeville in 1908. Building a railroad up this canyon was exceptionally difficult and expensive. 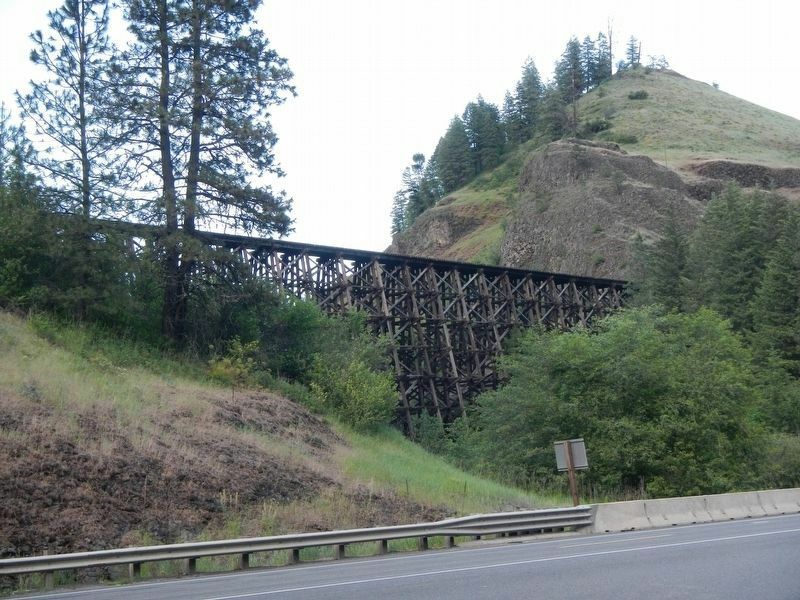 Although they competed in Lewiston, Union Pacific and Northern Pacific officials decided to organize a separate company, in which each of them had an equal interest, to complete a Camas Prairie line. Otherwise, neither would have had enough traffic to operate profitably. Location. 46° 19.92′ N, 116° 35.868′ W. Marker is near Winchester, Idaho, in Lewis County. Marker is on U.S. 95 at milepost 286, on the left when traveling north. Touch for map. 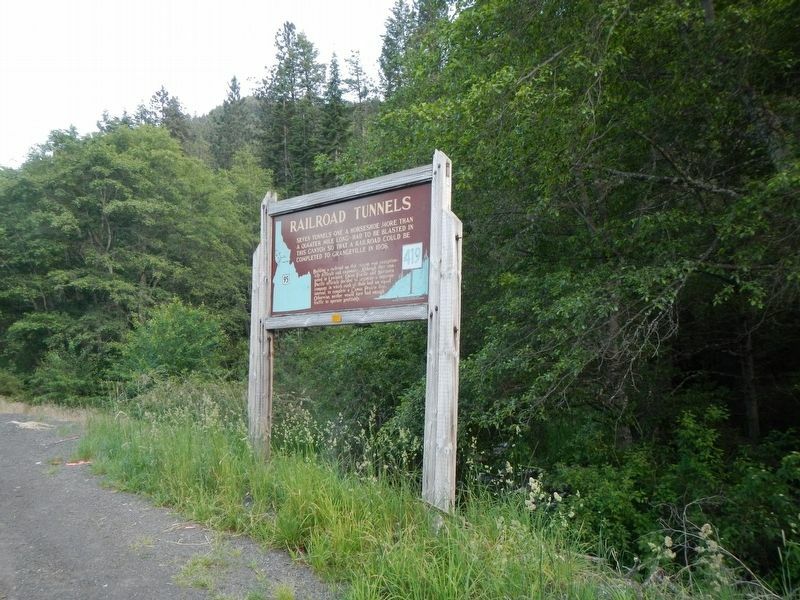 Marker is in this post office area: Winchester ID 83555, United States of America. Touch for directions. (approx. 6.6 miles away); William Craig (approx. 8.4 miles away); Craig Donation Claim (approx. 8.4 miles away); Craigmont (approx. 8.8 miles away); a different marker also named Craigmont (approx. 9½ miles away); Lenore Tram (approx. 12.3 miles away); Indian Houses (approx. 12.4 miles away). None of the CPR tunnels are visible from the location of this marker. More. 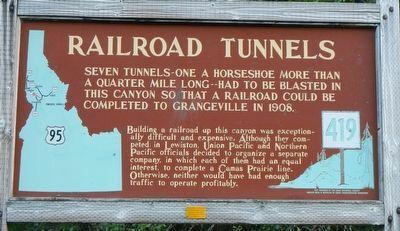 Search the internet for Railroad Tunnels. Credits. This page was last revised on August 6, 2018. This page originally submitted on August 6, 2018, by Barry Swackhamer of San Jose, California. This page has been viewed 68 times since then and 11 times this year. Photos: 1, 2, 3. submitted on August 6, 2018, by Barry Swackhamer of San Jose, California.